Coca-Cola is one of the most popular beverages not just in America, but actually in the entire world. It’s so popular that after the second World War a highly decorated Russian officer actually had them make it clear so he could enjoy it without people knowing what it was. People in Russia knew Coca-Cola to be a sign of American Imperialism. As it turns out Coca-Cola isn’t just a tasty beverage, it’s actually a great survival tool…which is why there are some weird uses for Coke. And yes, I’ll confirm this too. Coke really isn’t that great for your health, and after you see these survival uses you’ll understand why. So what can you do with Coca-Cola? Not that I’d ever expect you to stock up on gallons and gallons of Coke, but if for some reason you end up in a crisis situation and happen to stumble upon a considerable amount this is what you can do with it. One of the primary ingredients in Coke is phosphoric acid. Phosphoric acid is a very potent compound and is actually more acidic than vinegar…even lemon juice. It’s that same acid you can use to defrost most surfaces. Phosphoric acid cuts right through built up ice, and it does it really quickly. There are several ways to use Coke to defrost items but the simplest is pouring the Coke directly on the ice. After it’s had about 30 seconds to sit on the ice you can then wipe it right off with a cloth. In a survival situation rust can actually prove to be a death sentence for survival gear. As you might guess there’s something in Coke that can help remove rust. It’s phosphoric acid to the rescue. The phosphoric acid has a wonderful ability to help remove iron-oxide (rust). After metal oxidizes it forms the reddish brown rust you see. That rust can eventually eat away at your metal tool, compromising its strength and shelf-life, not good for things like knives and other tools. Well soaking a rusted tool in Coke will help remove that problematic rust and can extend the life of your tool. For slightly rusted items you can just pour a bit of Coke on the item and then wipe it of. For more heavily rusted items pour the Coke in a container and then soak the item in there stirring frequently to ensure total coverage. You can even use the Coke over and over again for this application. This is a similar application as what you just learned above. But think about it like this. Cooking with pots and pans that have been burned and tarnished can actually pose problems to your health. So it should relieve you to know a little bit of Coke on those busted pans can help restore them to life and in the process help you out with your health. If the inside of your pot or pan is burned try pouring some Coke inside and then allowing it to simmer on low for a minute before wiping off the build up. For outside burns and scuffs you can take a cloth soaked in Coke and soak the exterior in it and then give it a nice scrub to get rid of that. In a survival situation there will be blood. Psychologically speaking blood stains are not helpful for the morale and stamina of those you’re with. And in general while other kinds of stains aren’t a big deal in survival situations you might really enjoy knowing what Coke could do now. For instance, adding Coke into the wash alongside detergent can help you remove stains from clothing with ease. And if you’re trying to remove blood stains it’s as simple as pouring Coke on the stained area as fast as possible to prevent it from setting in on the fabric. It’s been reported that paramedics bring Coke with them because it helps get blood off of sidewalks and streets. There’s one thing that Coke can do that you might not expect, it can relieve the temporary discomfort associated with the pain from bees, jellyfish and things like that. The chemical compounds in Coke can help relieve that topical pain. Residual or stuck on oil can be very problematic in a survival situation. First off it can present a very real health hazard in that slick oil can expose you to unnecessary risk of slips and falls. Secondly oil on stored items can transfer to sensitive survival tools rendering them useless. Coke is great at cutting oil, in fact it’s so powerful some people use it to clean their car engines. So what do you do? Easy – on spilled oil you can simply pour the Coke directly on it and then wipe it up with paper towels. If it’s on sensitive items like electronics or similar equipment you can just take a towel, dab it in the Coke and then wipe, being careful not to to drip Coke into delicate areas. Yes, the can is something you can use for survival uses. All in all it’s pretty impressive for a soda, isn’t it? Having a few extra cans of Coke as a part of your survival gear probably isn’t the worst idea. 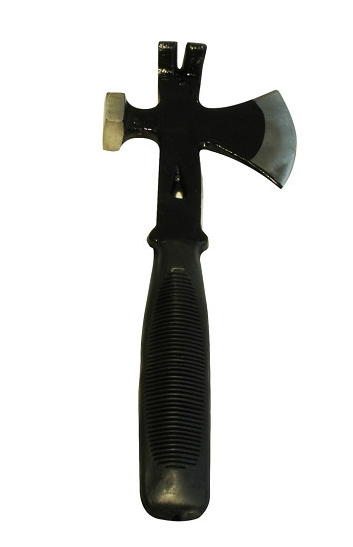 But, I wouldn’t qualify it as the most important survival tool to hold onto. More important than Coke would be a tool you can use in a variety of situations. Interestingly enough if it ever gets rusty Coke will bring it back to life. Click Here to learn more about this top seller. 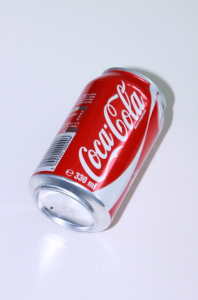 This entry was posted in Emergency Preparedness, Emergency Survival, Homesteading Tips, Uncategorized and tagged Coca-Cola, coke, soda on December 3, 2015 by Survival Frog.